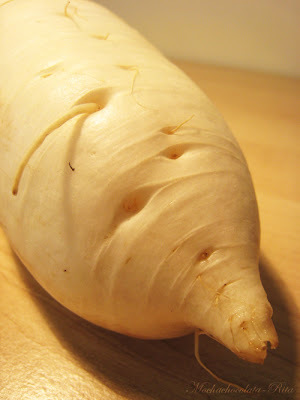 Once upon a time, in MochachocolataRita land, there was a girl called Daikon. 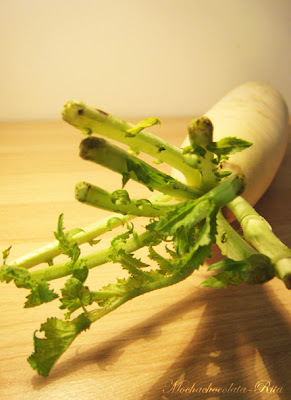 Little Ms. Daikon is your girl-next-door-down-to-earth girl. She spends her days sharing her richness of ascorbic acid, folic acid and potassium and she generously provides vitamin B6, riboflavin, magnesium, copper and calcium, although she is pretty reserved in terms of calorie. Her snowy complexion, full figure, crunch, fragrance, generosity, and versatility attract numerous suitors. But she had her heart set on the hunky Mr. Beef Brisket. She heard about his richness in zinc all the time. When she finally met him, his manly texture, his tender touch, his macho scent, conquered her all. It was love at first sight. I am submitting this for the Weekend Herb Blogging, which is hosted by Thyme For Cooking this week. Blanch beef brisket in boiling water with salt and ginger for about 2 minutes, drain, set aside. 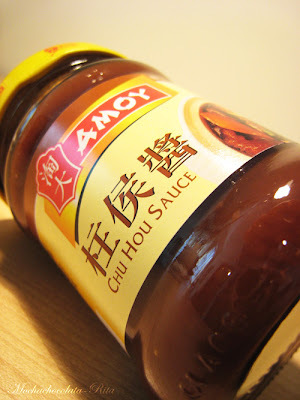 Saute garlic and ginger, add beef brisket, 2-3 tbsp of chu hou sauce, transfer from wok to pot, add rock sugar, boil on low heat for 1 hour, check taste, adjust when necessary add chopped daikon, continue to boil for another hour, sprinkle chopped spring onion on top, serve with rice. 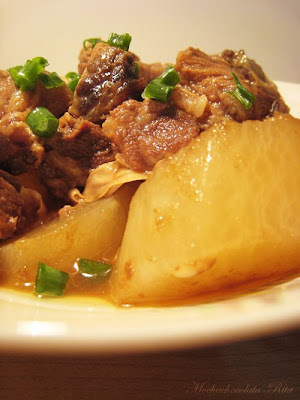 This dish is very popular in Hong Kong, enjoy! I marinated pork with grated daikon and then braised it. It was the most tender pork ever. 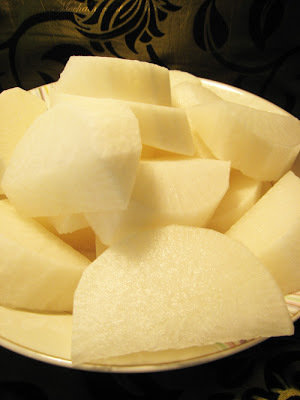 You could try cutting off a couple inches of daikon and using that in the marinade next time, along with cooking larger daikon pieces. Love their perfect marriage. So what would their offspring be named? Hahah! Always love this dish and you have done it so well. 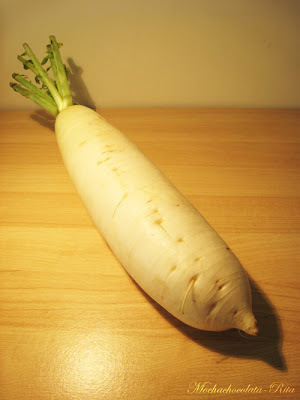 I may have to buy one just to see what it tastes like - and I'll watch for a proper daikon! i haven't done my homework yet Rita...waaa! wekekeke wah bandrol juga berlaku untuk lobak yah...yang asyik disana apa yah? 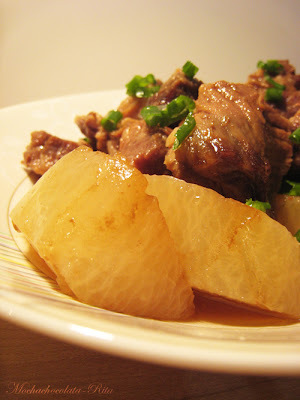 I have not done much with daikon but that brisket daikon looks good. What a fun read Rita! Miss Daikon never looked so good in my kitchen. 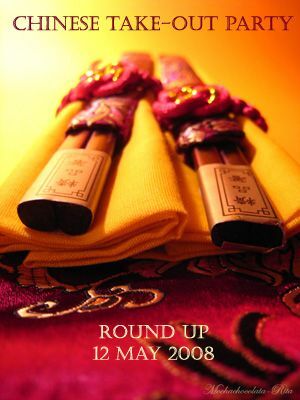 Now who were there any guests at this little ceremony? Great post. I make the same brisket dish but Ms Daikon is not married to Mr. Brisket. My Mr. Brisket fell for Ms Carrot. What a fun post, and your photos are great too! It sounds delicious. 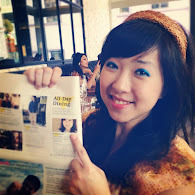 BTW, I've been to Hong Kong and would love to go there again!